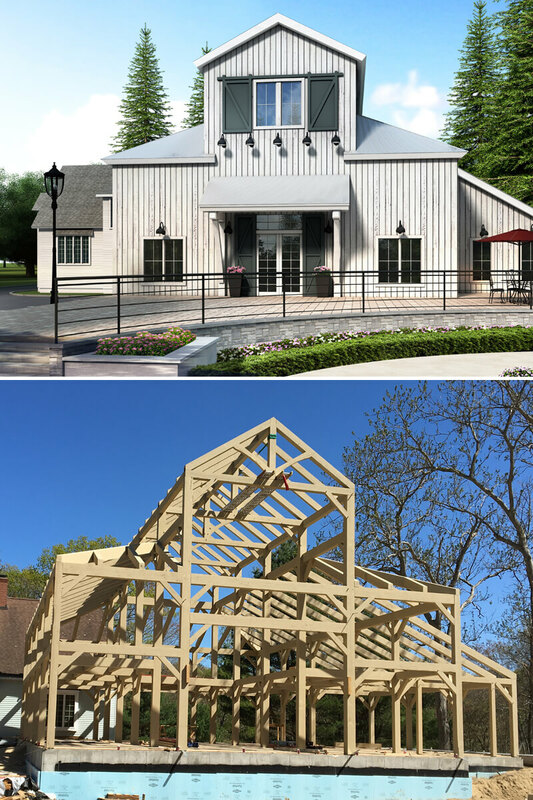 From rendering to reality – our barn is starting to take shape. 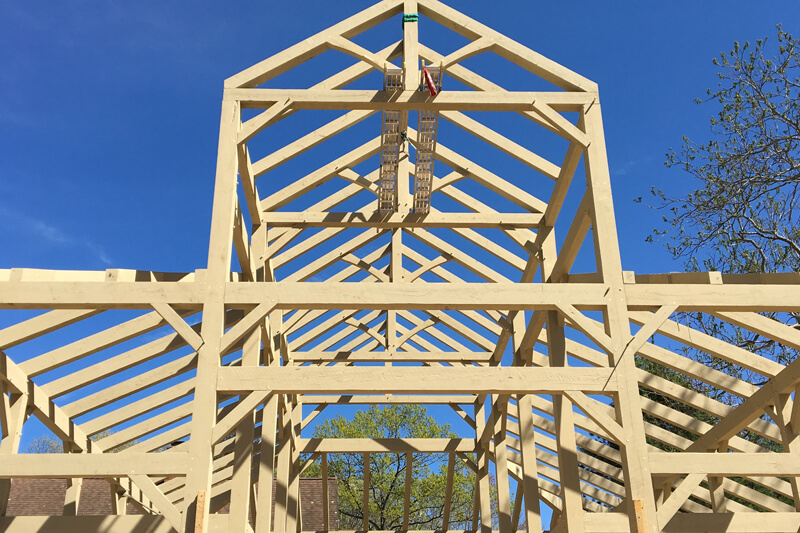 The framing was wrapped up last week thanks to Vermont Timber Works. 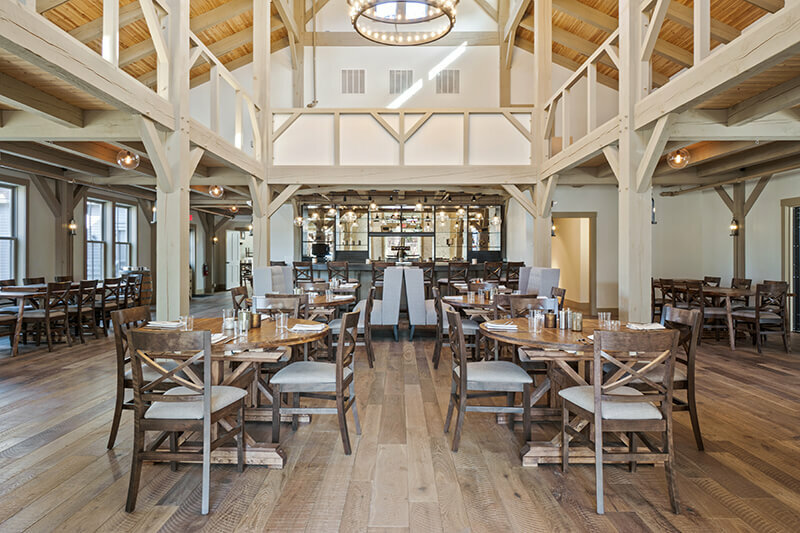 This barn is the future home of our 100-seat restaurant and will be connected to an existing building on the property that will be refurbished with a private dining area and additional restrooms. We’ve also been busy working with Britton Construction to installing the siding and windows of the the Inn and Spa. 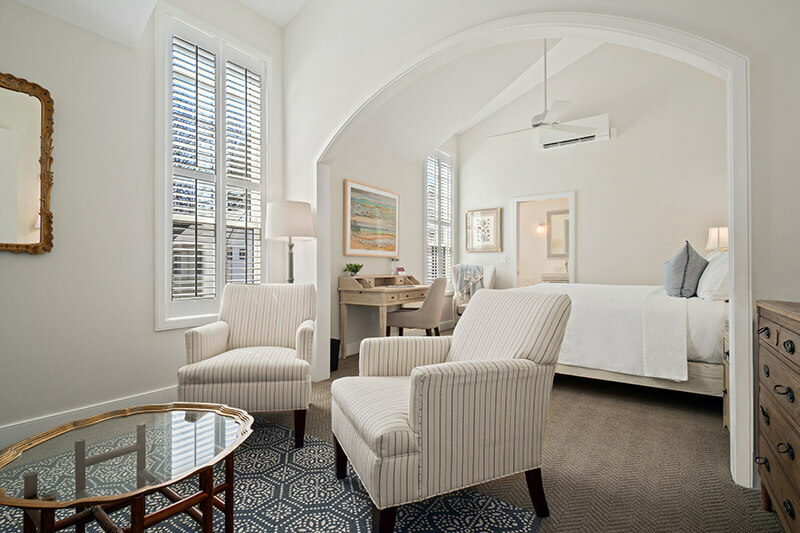 May has also been busy with making lots of plans for our interiors – antique decor, lighting, and paint colors!